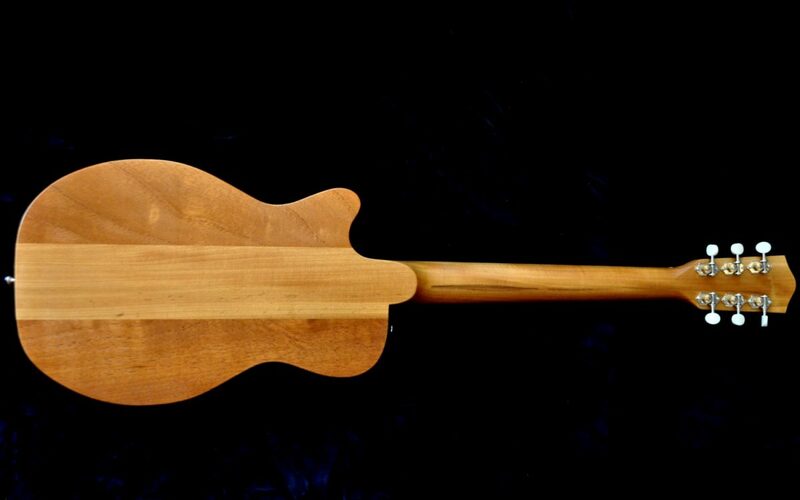 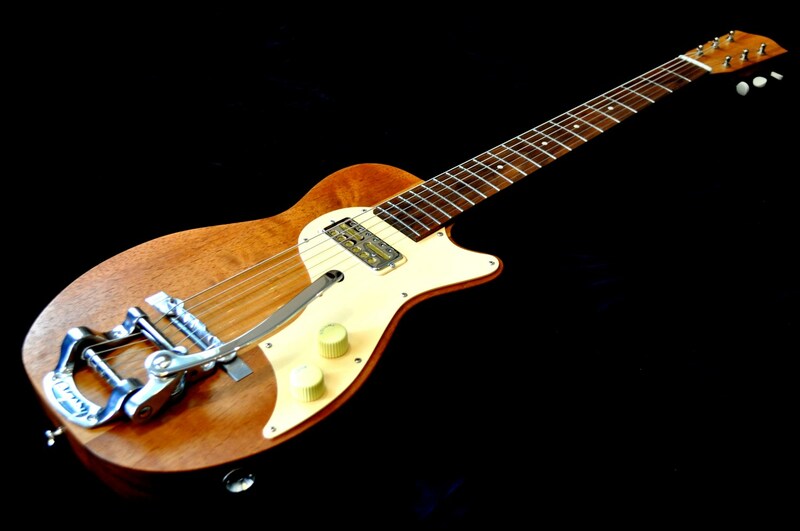 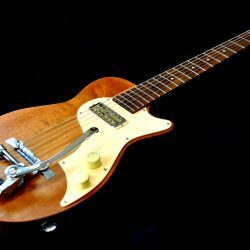 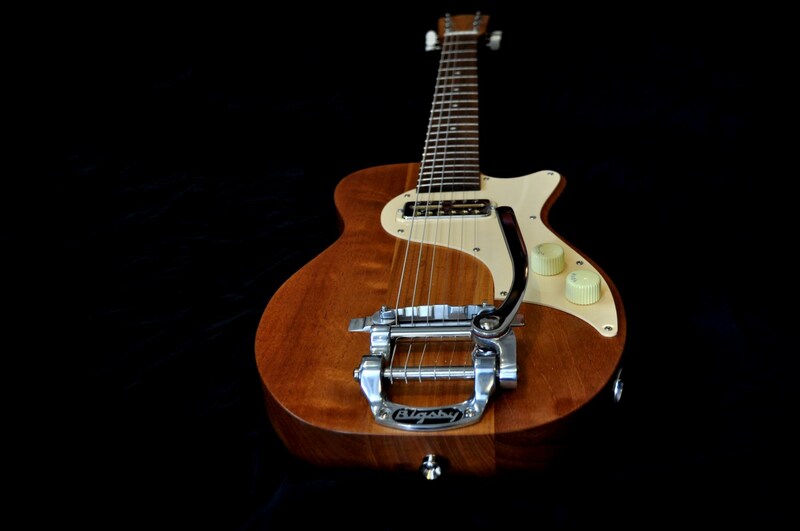 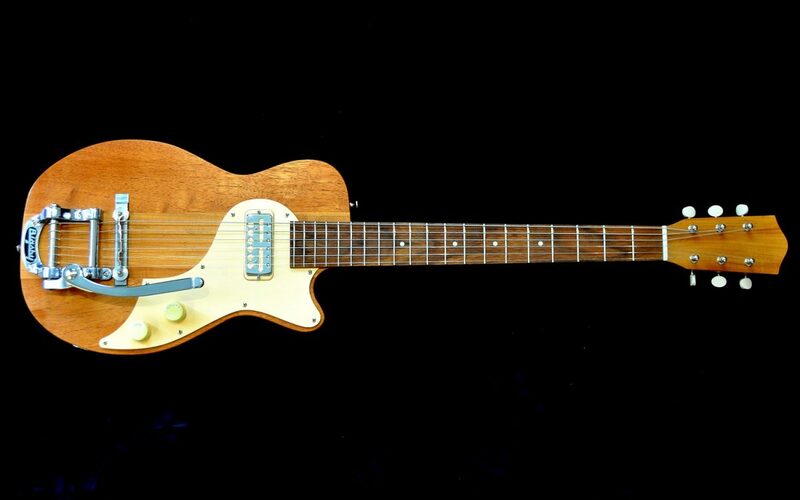 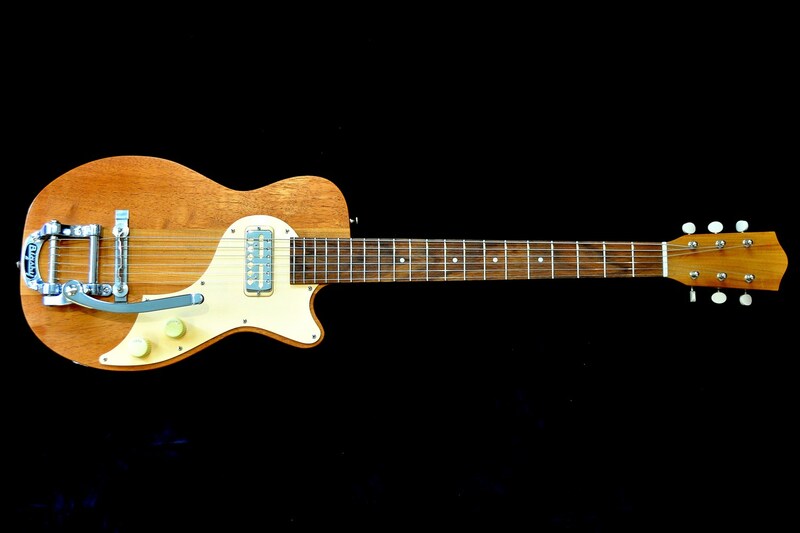 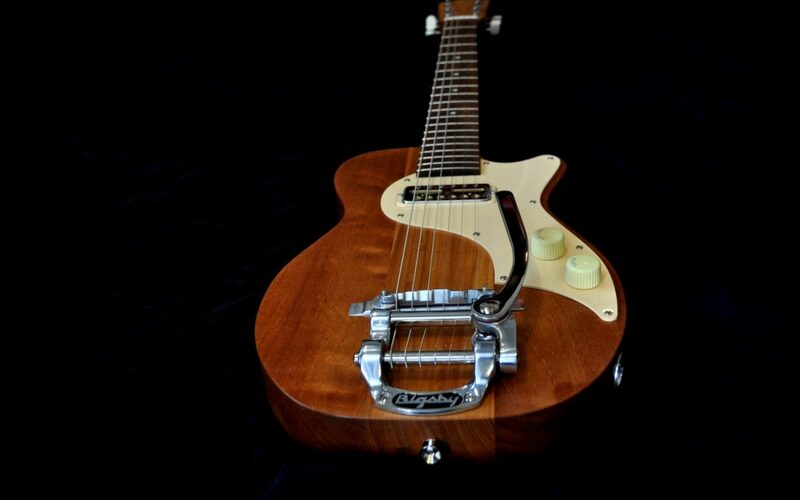 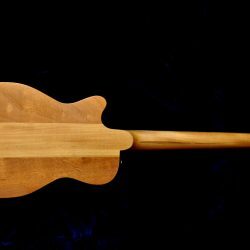 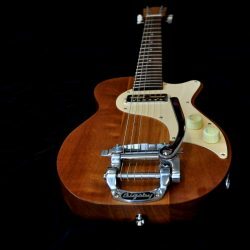 This is one of the first prototypes of the Del Greni model made for the Norwegian guitar slinger Øystein Greni from BigBang. 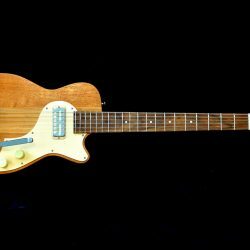 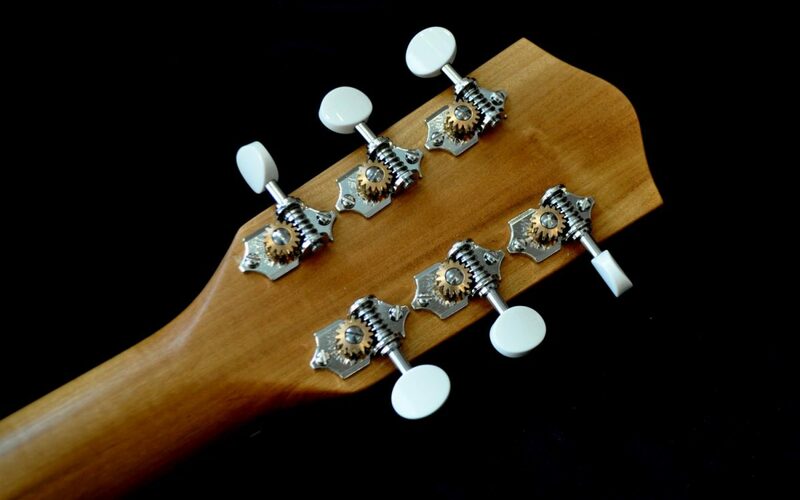 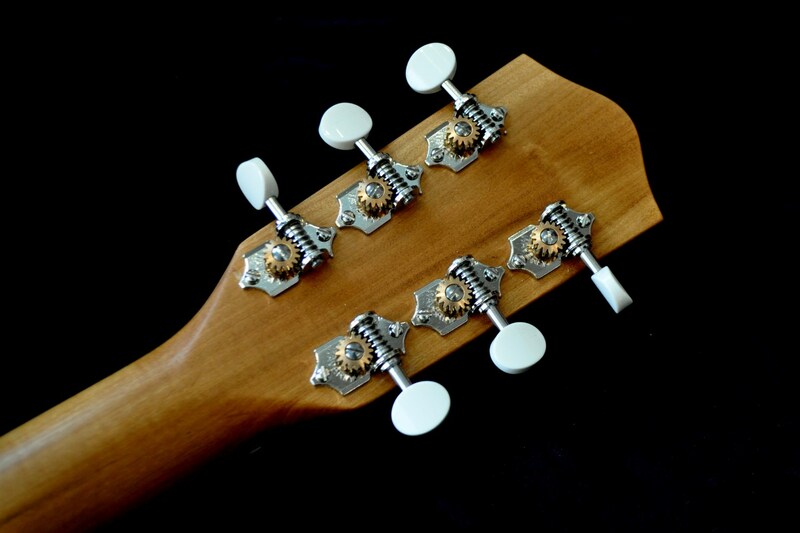 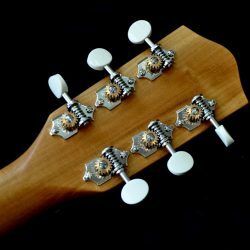 They are inspired by the old Stratotone H44 and are made using various kinds of woods and string solutions that give them all a different vibe. This one is made from some reclaimed woods that Øystein got from a friend in Brazil.